WordPress has millions of users, and this popular guide has sold more than 105,000 copies in its previous editions. With the newest releases, author and expert Lisa Sabin-Wilson has completely updated the book to help you use and understand all the latest features. You’ll learn about both the hosted WordPress.com version and the more flexible WordPress.org, which requires third-party hosting. Whether you’re switching to WordPress from another blogging platform or just beginning to blog, you’ll find lots of advice in this friendly guide. WordPress For Dummies, 6th Edition is the guide you’ll want by your side to help you create and maintain a knockout blog with WordPress. 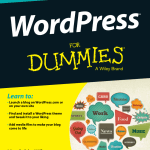 Жанр: Главная » Книги » Wordpress » WordPress For Dummies, Sabin-Wilson L.